To prepare for writing your 1/2 page - 1 page digital story, you will create a story map of what you will say. 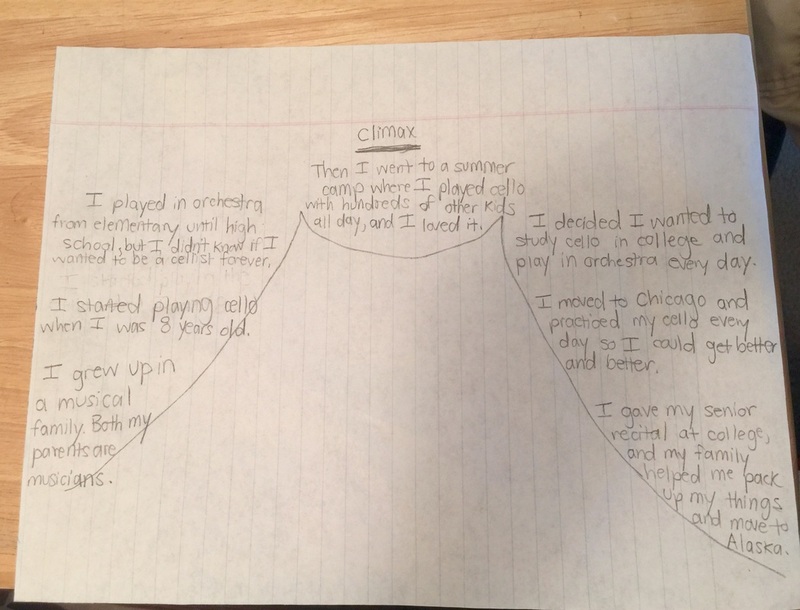 A story map gives the basic outline of the flow of your story. It is not​ the full script- it is just an outline of your ideas. Miss Ruth's story map example can be found here, but you can also follow along with the steps below. Step 1: Think about what you want to say in your story. Remember that you will be talking for one minute about a specific story, experience, or thing about you or your culture. ​Step 2: Take a piece of notebook paper and turn it the hotdog way (horizontally). 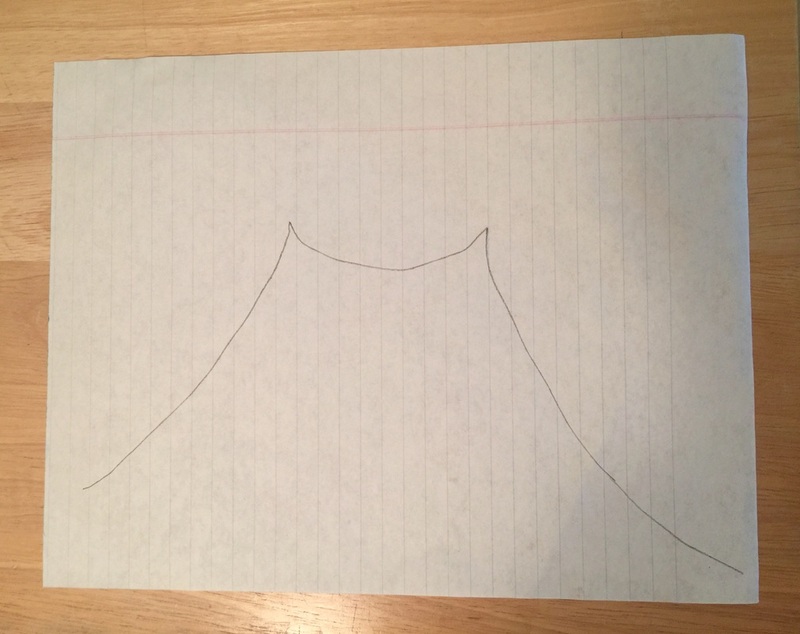 Draw a large outline of a mountain on it. 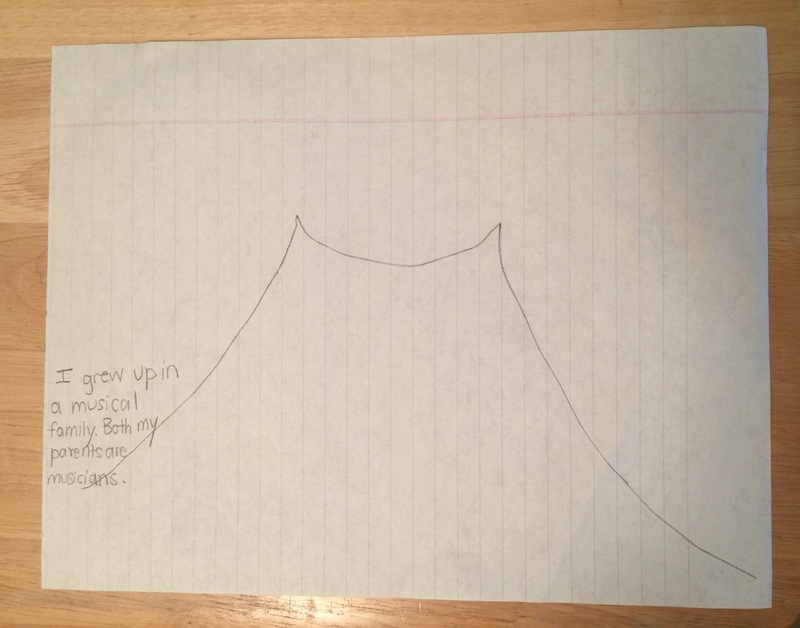 Step 3: Start by writing the introduction (the first thing you will say) in the bottom left-hand corner of your mountain. 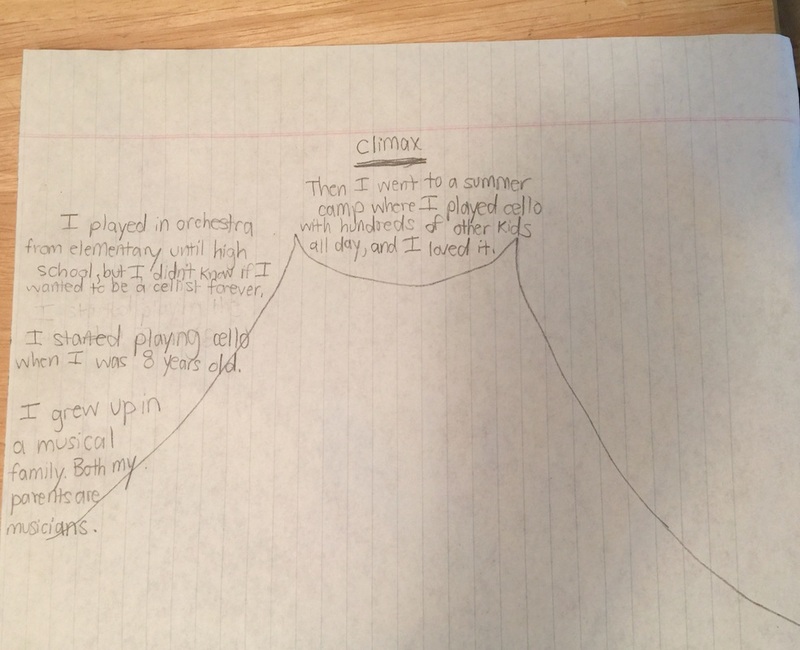 Step 4: Continue writing your story up the mountain until you get to the main point or the climax of the story. The climax is the turning point when everything changes. Write the climax at the top of the mountain. Step 5: Finish writing your story down the right-hand side of the mountain, writing your final conclusion at the bottom corner of the mountain. Bring your story map into class on Monday!